Vidy Med is a private company providing its physicians and other care providers with services and infrastructures within which they work as self-employed professionals. It was founded in 1991 by 8 physicians grouped around an emergency room at the Vidy Medical Center, now hosting over 30 collaborators. In 1999 Vidy Med opened La Source Medical Center to benefit from the technical platform and hospital facilities of the Clinique La Source. About ten general internist physicians and other care providers are currently employed there. In 2005, Vidy Med was contacted to take part in the Aqua-Ecopôle project that was about to start off on the P+R parking lot in Vennes. This project having been delayed until 2011 due to objections that lead to the Federal Court twice, Vidy Med was then approached by the Biopôle company, responsible for the development of the site located next to the M2 metro terminus at Croisettes. Their goal was to create a dedicated district for biotechnological and biomedical companies. – Enhance the medical coverage of Lausanne North region, namely in the accident and emergency department and in general medicine, in light of the announced shortage of general practitioners and pediatricians. – Expand the range of medical activities within the Vidy Med network. – Exploit the existing Vidy Med services. – Reinforce the role of Vidy Med in the loco-regional health policy and its involvement with political and health insurance partners. The Epalinges Medical Center (CME) opened in March 2014. It revolves around a medical and surgical emergency room for adults and children from 4 years of age, open 7 days a week without appointment, from 7am to 9pm Monday to Friday, and from 9am to 9pm on weekends and holidays. On-call medical duty is carried out by resident emergency physicians and internists. These physicians can rely on a traumatology and surgery medical duty already in place for the other 2 centers in Vidy and La Source. They can also count on collaboration with the 70 other specialists within the Vidy Med group, of which 30 also have their practice in the CME. This proximity increases the network care management possibilities offered by the CME but also by the whole Vidy Med group. A specific effort is made at the CME to improve interaction between the emergency room and the general medical practices, in order to optimize utilization of the infrastructures and services and to favor part-time work opportunities. The CME can handle radiology and laboratory examinations, either scheduled or as emergencies within its premises. An elderly care network has been organized by the CME, offering outpatient medical solutions to nursing homes and local attending physicians, as emergencies or by appointment. Its goal is to reduce hospitalizations and favor home or nursing home stay for elderly patients. The establishment of synergies with the Medico-Social Center in Epalinges, that transferred its premises in the same building, also allows for a better global care management for elderly or dependent patients. The CME opened a chronic wound consultation with 2 specialized nurses, under the supervision of an experienced dermatologic surgeon. The CME has a physiotherapy center offering classic care and an intensive care program for chronic back pain. Vidy Ortho has a branch at the CME offering orthopedic equipment, namely braces, supportive devices and compression stockings. 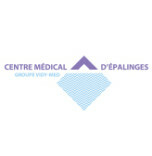 Thanks to the collaboration with the CILE (3R company’s Lausanne-Epalinges medical Imaging Center) located at the same address since June 2014, the CME benefits from a complete technical platform. The presence of the Biopôle Dental Center, also handling dental emergencies, offers a great complementarity to the CME.